To help you gain that perspective, this chart clearly demonstrates how a 30-year bull market in bonds has pushed down mortgage rates to current levels. Still, the idea of landing an even-better deal often undoes borrowers, even when rates are at these low levels. Mike told me a story to illustrate the point. A little over two weeks ago, he had a client who was refinancing a $320,000 30-year mortgage, which carried an interest rate of 4.5 percent. “The new rate was 3.375 percent, but the client wanted to hold out for 3.25 percent.” The difference in monthly payment on the loan was $23 per month, so Mike encouraged the guy to grab the 3.375 percent and to not look back. The client balked and said he would wait for 3.25. Guess what? He never got 3.25 percent! Instead, when he called Mike this week, the rate had jumped to 4 percent, which meant the re-fi didn’t make as much sense. 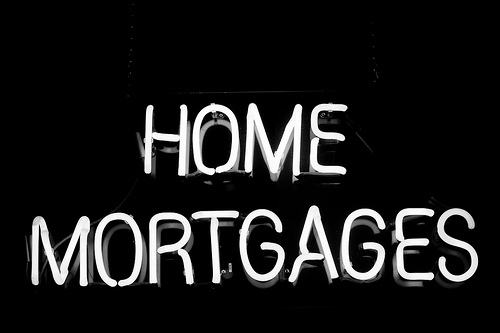 In other words, it’s just as hard to time the mortgage market as any other market! Self-employed applicants: Must have 2 years of proof of self-employment and 2 years of tax returns. Gone are the days when self-employed borrowers can "add-back" tax preference items. While you may have used the tax code to your advantage, the bank will not cut you any slack - the numbers on the return are set in stone.